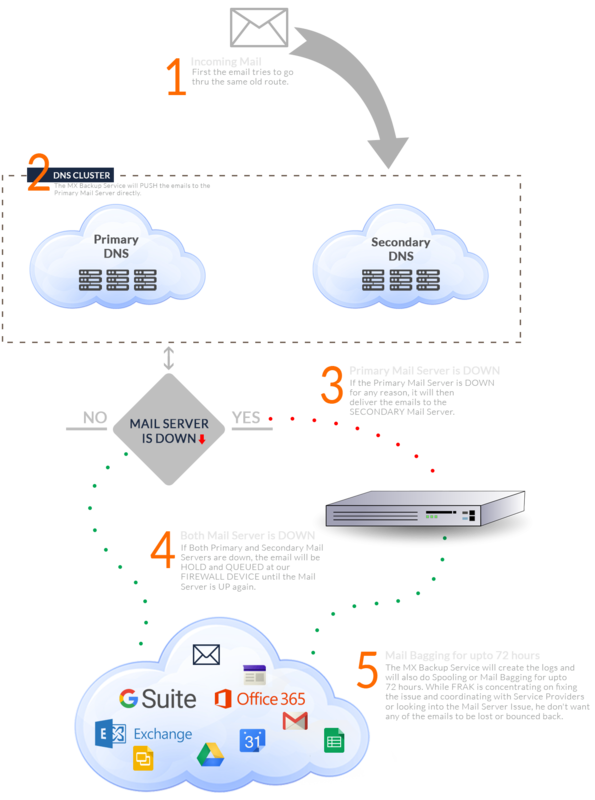 Adding redundancy to your existing mail server. 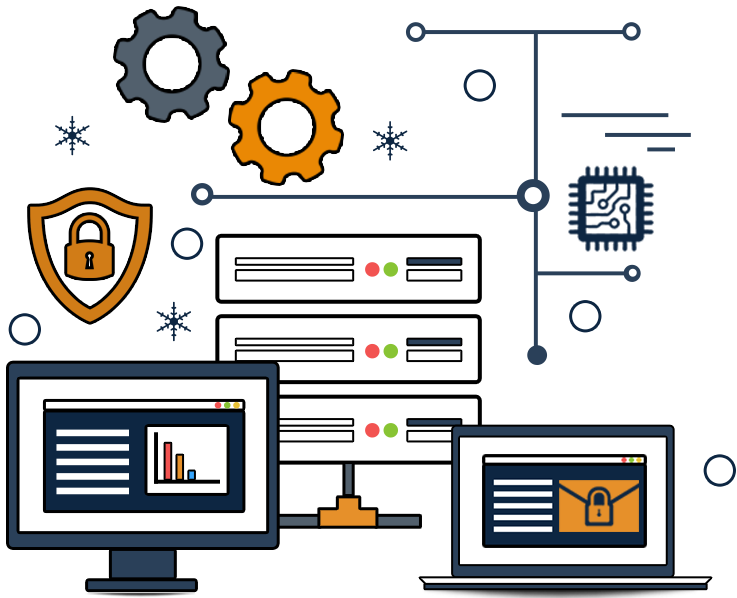 Thobson Mail MX Backup Service is designed for companies with an existing on-premise Corporate Mail Server or Spam Firewall or the organizations who are looking for a redundancy and fall-back system in case if the Primary Mail Server or Internet Connectivity goes down. If you run your own mail server, our backup mail service is essential to make sure you receive all of your important email. If your mail server is down or unavailable, Backup MX will accept the messages and then deliver them once your mail server is restored. If your Primary Mail Server goes down, the email will be stored and queued using our Mail Bagging Feature until 72 hours and as soon as the Primary Mail Server is live again, the emails would be pushed to the Primary Mail Server. PLEASE NOTE THAT, there is no ETRN Scripting or POP or Domain POP or any fetching mechanism required to use our service, the MX Backup Monitoring will check to see if the Primary Server is live again, it will start pushing emails automaticallty. If you already have a Spam Firewall in place and if it fails for any reason or is unavailable for any reason, your emails will be re-routed and will be delivered to the your Mail Server using the Secondary MX Firewall. The Backup MX service will continue to deliver cleaned emails to your mail server hence the continuation of your spam-blocking service and email flow will become 100% redundant. In addition, we have a Cloud-Based Geographically Redundant filter across the region for extra protection and continued service. That makes your protection "doubly redundant".